Article: Find your Purpose, because Passion is Overrated! Find your Purpose, because Passion is Overrated! Can following ones Passion really be a relevant career choice? Many of us would have encountered this quote, often credited to Charles Bukowski, and would have found it thought-provoking if not entirely aspirational. There is an extension to this in the corporate world – follow your passion. You pursue your passion and let it kill you. Or rather, your corporate job. Lately, a trend of sorts seem to have gained momentum in the corporate world. It appears that many, especially the millennials, are quitting their jobs to pursue their passion. From Wildlife Photography, Authoring Books, to Travelling, the trend suggests, the new generation is making a living out of their passion. Cal Newport in his HBR article “Solving Gen Y’s Passion Problem1” notices that the use of the phrase “follow your passion” has skyrocketed since the late 90s. An article in the Times of India2 also claimed, that most millennials are quitting their corporate jobs to pursue a passion, travel, explore life and live life beyond the desk. Some of the Bollywood movies as well, like 3 Idiots, have had a huge influence on the idea that your passion can be your main career choice. Pursuing passion gives one happiness in life and work and at the same is a viable career option. Or is it? Can Passion Pay your Bills? 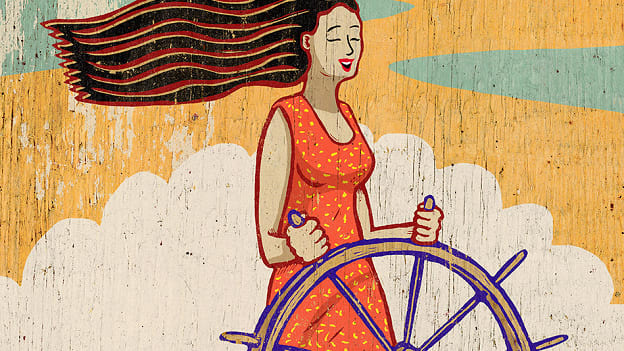 Can following one’s Passion really be a relevant career choice? If everyone in Corporate indeed chose to follow their passion, left their day jobs and became one of Photographer, Travel Blogger, Writer, or a Zumba Teacher, can they really expect to get paid for and build a career out of it? The reality may be quite different. In India, a joke goes that you become an Engineer first and then do something of your choice. While this does sound funny, the reality is that you can get paid only for skills which are valued in the market. The fact is that we live in a market-based economy governed by the laws of Supply and Demand and not in some communist utopia. People who espouse that following one’s passion can be a viable career choice often forget a very important point – that passion needs to be in demand and also someone should be willing to pay for it. 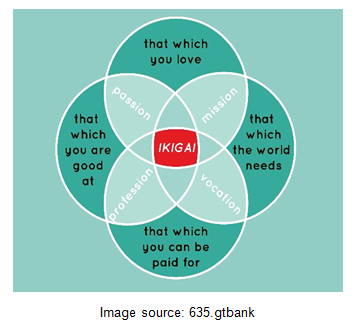 In Japan, there is a concept of Ikigai roughly translated to a reason for being, which helps understand your passion can be Ikigai only if the world needs it and is willing to pay for it. However, if your passion is not something the world needs then it will bring satisfaction but be totally useless or if no one is willing to pay for your passion then you may have fulfillment but would likely starve. So if following your Passion seems like a bad idea (at least from a career point of view), then how do you derive fulfillment, have meaning and find happiness from work? The answer may lie in finding your Purpose. How is Purpose even relevant? A better way to approach meaning in work may be to find your Purpose – whether at work or outside. You want to work on something that is important, has meaning and is useful to others – as simple as it sounds this could be your purpose. Moreover, it is likely that you would need to spend some time finding your purpose at work. Cal Newport also found that passion at work developed slowly and it was rare to find someone loving their career before they became good at it. In another HBR article titled “You Don’t Find Your Purpose — You Build It3” Jon Coleman espouses that you can build purpose in your job by actively investing in finding it. Purpose at work need not necessarily derive from path-breaking work. It may come from the simplest of things that has meaning for others and gives you Joy. I have seen payroll person feel happy about ensuring that the paycheck hits an employee’s account on the exact date every month and the IT guy derive happiness from seeing that his efforts saved precious data. But what if you are not able to find your purpose at work (or maybe just yet) or even, on the contrary, you dislike your work? Well, I believe there is still hope of finding happiness and fulfillment from work – by having a broader sense of purpose. This means accepting that there is more to life than work and using work as a way to achieve the broader purpose. I feel our older generations, even though with their relatively simpler and mundane jobs were much happier. They would go to work, come back in the evening and spend time with family. They had a higher purpose - they wanted to achieve a stable life and provide for the future of the family. They derived their purpose outside of work but work provided them with the means to achieve that purpose. They derived happiness from watching their kids grow, watering the plants, and participating in the community. They were happy. If all of them followed their passion they would all probably be at home parents, gardeners, or social workers. Ultimately, “follow your passion” feels like an impractical advice even though it may have been well-intended. Ironically, constantly trying to find a career out of passion may become just another reason to be unfulfilled with your current career and a better alternative to find fulfillment from work may be to actively find and build your purpose – whether at work or outside.